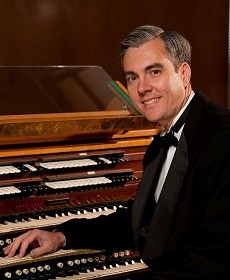 David Pickering, associate professor of music, was awarded an E. Power Biggs Fellowship of the Organ Historical Society. The fellowship, named after the famous American organist E. Power Biggs, is awarded to applicants with an interest in the American pipe organ. Fellows are awarded an all-expenses paid trip to the Organ Historical Society's national convention, which will be in Minneapolis and St. Paul, Minnesota, this year. The national conference features performances on historic American pipe organs. Pickering also will receive a free, two-year membership to the Organ Historical Society. This award will greatly help Pickering's research which is focused on American organ composers, organ teachers, and organ builders from the 20th century to the present day.